I have been busy getting a new Hip Brown design off the ground. It actually takes a while to release a new product; many aspects need to be absolutely perfect before you go into full promotion mode. Prototypes need perfecting and then they also need to undergo their own form of testing. Photo's in particular take a great deal of perfecting and resizing for online shops. I do enjoy it though! You can see a sneaky peek of the Hip Brown number wall- pendant's which have been hand screen- printed in the picture below. 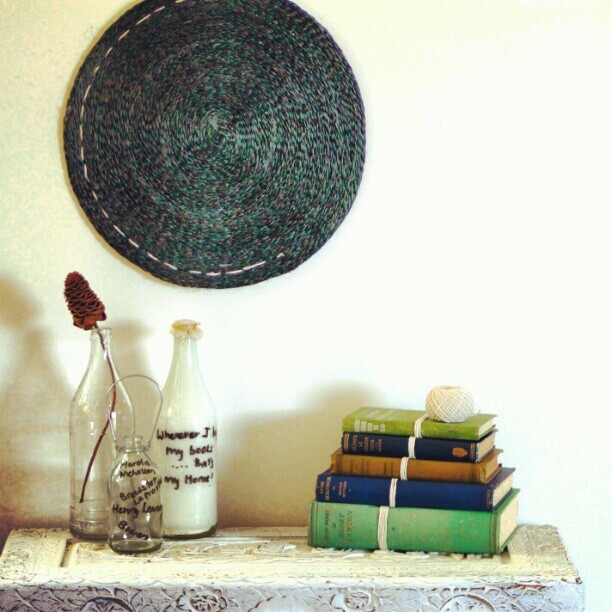 "Blue and beachy green vintage books"
"Love my boys, having more time to work on my business (finally! 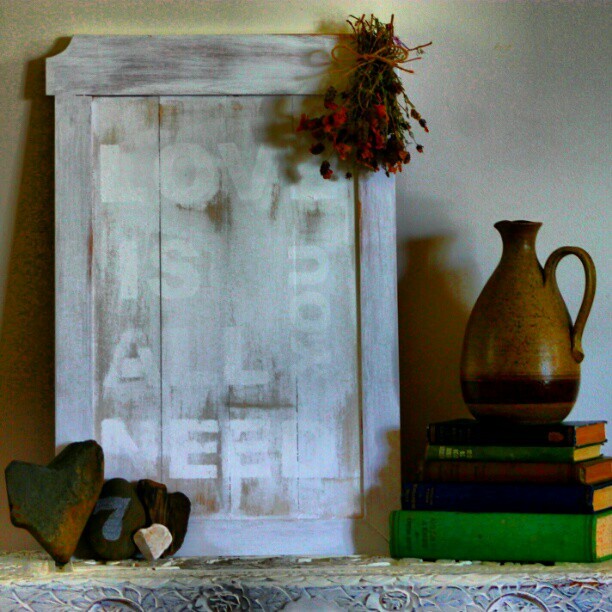 ), heart shaped rocks, meaningful numbers, rustic jugs (yes def going through a thang), exercise, Instagram, vintage books and dried lavender." you're very good at vignettes rachel! Product development is soooo time consuming, but your's is looking lovely.